2 Beds 2 Baths 1,221 Sq. ft. This home is a rare find in Central Sarasota, offering new appliances, new paint and new master bath updates. This lovingly maintained end residence rests in a serene and beautifully landscaped community of only 64 residences. The living room, second bedroom and master bedroom open to a pergola-covered screened lanai, allowing for delectable cross breezes while giving you more living space during our warm winters. You won't be disappointed by space in the master with a large walk-in master closet, private access to the patio and updated bath. Graced with a large closet and slider to the patio, the light-strewn second bedroom is a welcoming and private retreat. Enjoy breakfast in the bright eat-in kitchen area or make use of the pass-through for convenient entertaining. Inside laundry, covered parking and extra storage are additional amenities. The inviting lakefront clubhouse offers numerous social events and a large community pool heated for year-round enjoyment. 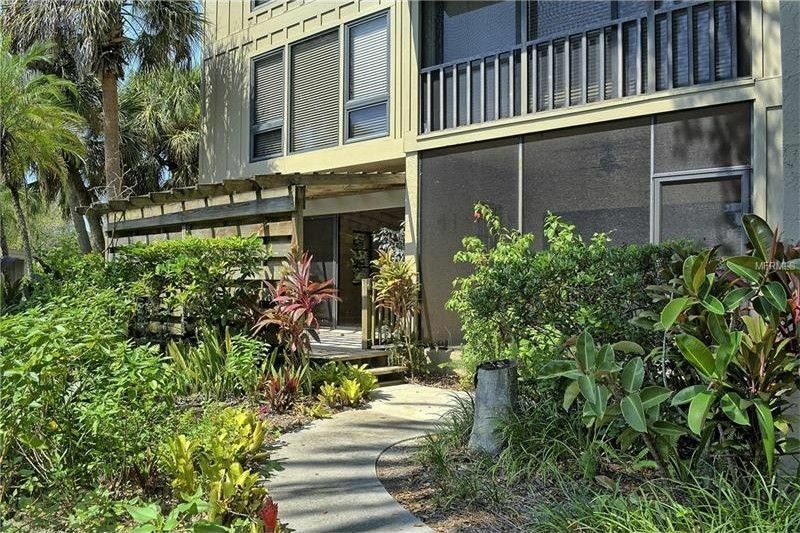 Lake Arrowhead is convenient and close to numerous shops and restaurants and is a short drive to Interstate 75 and award-winning Siesta Key Beach. Come experience this famed Florida lifestyle today. Click on virtual tour for more photos. Driving Directions: From Clark Rd., Head North on Beneva Rd., turn left (West) onto Lake Arrowhead Trail. Follow one way to end unit #5204.